Scarves are no longer an exclusive wearing accessory for women. As time passes, they have also become a significant and essential decoration for men’s spring and autumn clothes. In the coming of spring, scarves play an important role for men. Tassel scarves, scarves with floral pattern, and even these elegant long ties scarves with bright and obvious colors have become a dominant element in men’s fashion. In this article, I would like to introduce some methods how to make you look divine and delicate for you with this outdoor magic scarf. Here are four ways for you to tie your scarf fashion and elegant. The first method for you is setting tongue knots. It has the same way as tying a thick scarf. What you should pay attention to is that the thickness of scarves should not be too thick. Otherwise, the front part of this scarf will not hang down naturally. It will be ugly for you show the scarf crossed on your chest. The second one is an asymmetric knot, which will give you a cool feeling with a sense of wildness. I think that it will be very suitable for these cool and bad boys which will be a new and fresh try for you. Since the way of tying is similar to tying a tie, it will be better for you to have a better impression by using a thin one. The third one for you is a small bowknot tying whose feeling is not as feminine as these big bowknots bring for you. It will give you a decent and comfortable feeling. The last one is a kind of French style knots which will be fit for tall boys and give you a heavy and mature quality. 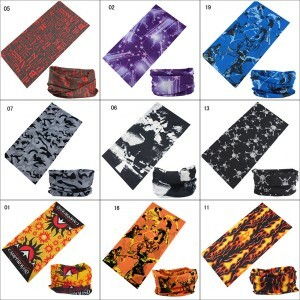 Wearing these divine outdoor magic scarves, you will show your manliness and unique taste which will leave a good impression for others! These magic scarves will definitely be your necessary decoration for working!